Tempest and her 16 other siblings are mermaid. No one knows about them being mermaids, everyone just thinks that they're humans. They have just recently moved because their parents left them, and they wanted to get a new start so they didn't have to see the pity in everyone's eyes. Dylan, Alpha of the Blood Moon pack knows something is up with the new family that moved to town. They have a huge house with a lot of kids running around. What he can't figure out is, where are the parents and why are the kids acting so strange. It's almost as if they know that they are going to school with werewolves. But he can never get any information on them because the kids either speak another language or just seem to disappear. What will happen when the kids meet their mates, the ones they've been destined to be with since before time? And what will happen when their past catches up with them? Will they be able to trust their friends and mates, or will they have to leave again? Aqua is the only aquamarine mermaid left and after leaving the sea to go on land she finds her mate the alpha of the sliver moon pack. Will she trust him with her secret or will she keep it hidden from him? After a while she finds out a secret of her being the next moon goddass and the only wolf mermaid angel hybrid alive. Hi, I'm not exactly your average teenage girl. My hobbies include swimming, luring people in with under my voice, eating flesh and what's funny about all of this is I'm a mermaid. As you can see mermaids aren't exactly friendly and we don't come up to the surface unless it's for a nice snack. We're not the only weird beings, though. All those fairy tales you grew up hearing are true. We do have mates like werewolves and werecats but it's not really the same. Mermaids rarely get mates because we never live over 3 months before being eaten by our siblings. I know, fun life. I'm one of the lucky ones. My mother who was also lucky to live found her mate coming up to get some finger food. But for some weird reason, my mom was blessed with a Vampire mate. I haven't seen him in almost 15 years. My mom recently has been getting horrible sicknesses due to his absence so tomorrow I'm going to meet him for the first time. On land. In the human world. Crap! I'm going to have legs! Meet Taylor, a mermaid with a longing to see the sunset. Being out of the water after sunset would cause her to shift unwillingly. And shifting unwillingly . . . well, she'll release her scent, causing the wolves to know what she is. 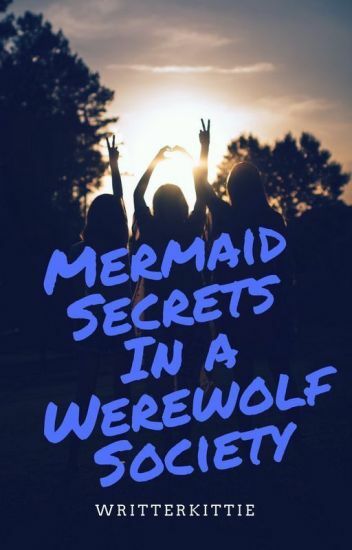 Years before, the werewolf society attacked all merfolk they could find, not realizing that twenty remain. These twenty try hard to keep hidden from the wolves, but between Taylor's longing to see the sunset and some inevitable events that seem to take place, Taylor ends up shifting before entering the water. And when the wolves catch her scent, they are on the verge of being discovered. Now meet Blake, the alpha of the Blood Moon pack. When he discovers that mermaids are in his territory, he plans on taking them out. But what about when he finds out that one of them is his mate? Read to find out how these two enemies end up rejecting and accepting one another. It's been almost 3 years since the death of the youngest Waters child and everything is just starting to get on track. Everyone was getting over her death and forgetting about her but when a surprise comes knocking on the door with some shocking news it changes everything. Can the NightLock Pack be able to handle the news that this stranger brings or will they fall apart again. "What are you?" He asked after our staring contest. It felt like it was only him and me in those woods as we looked into each other's eyes. I never knew I would find him. I mean I was shocked my mate was a werewolf. I mean I'm a creature of the moon too, I guess. Well I'm more along the lines of the sea. Aquamarine is no ordinary girl. She has a golden tail. A goddess tail, a brother who is a God. Parents that were captured by her nightmares. So when Aqua goes to a 'human' school she thought. She doesn't know that she's in the middle of a werewolf territory. And before she knows it the Alpha's son is her mate, Alerik. He rejects her, like any other girl he does. He left her angry, sad and confused to why he's speaking junk. But then the Hunters are back for Aqua's and President's blood. Alerik gets suspicious about Aqua's life. To know why she's missing school loads. Why does she have a...TAIL? Will Alerik see inside of the eyes of a mermaid? Assyria is the mermaid with the long, weird name, the daughter to one of the oceans most powerful mer leaders and sister to a bunch of over protective brothers. She's also the mate to Cameron Forrest, the future alpha of The Blood Moon Pack. Cameron knows that Assyria is his mate but keeps quiet, nobody wants the weak human as a mate right? Wrong. He soon realises he can't live without her and would do anything to have her by his side. Assyria also knows that she's his mate but she keeps quiet, she knows everything about Cameron and his pack yet he knows nothing about her. About what she is. A mermaid. The mermaid princess, Megan , wants to goes onto land to find her mate. What happened when it is a soon to be alpha?